Curtis & Miller. 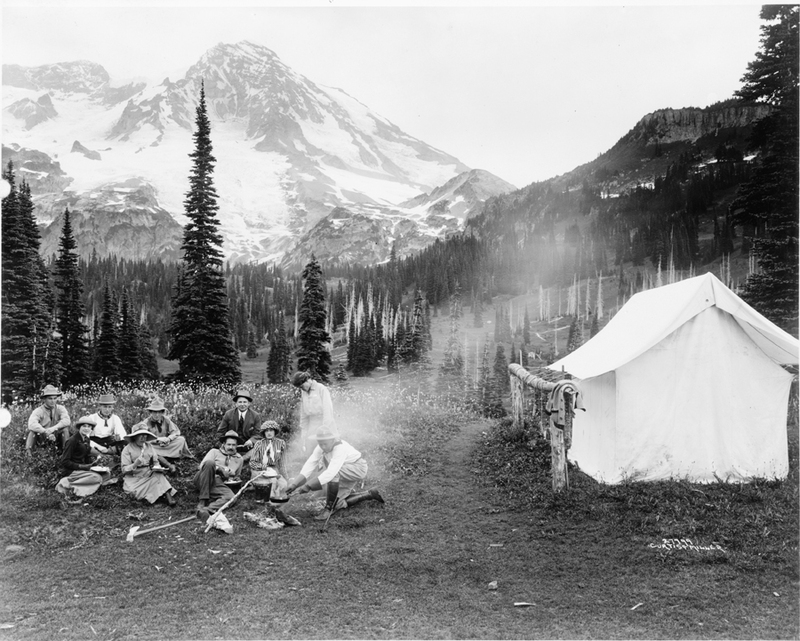 “Camping party of men and women cooking at campfire and eating near tent in Indian Henry, Mt. Rainier National Park, Washington.” Between 1911 and 1920. National Photo Company Collection, Library of Congress Prints & Photographs Division.